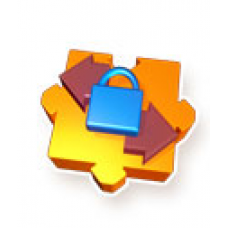 Secure your FTP file transfers. Rebex FTP/SSL is a versatile file-transfer component for .NET languages (such as C# or VB.NET). It allows you to transfer files directly from your application using FTPS, an extension of FTP which is fast becoming a standard for secure FTP. This protocol is also known as FTP over SSL or FTP over TLS. You can upload from memory, resume aborted transfers & more - either synchronously or asynchronously, in active or passive mode, binary or ASCII. Also you can upload data directly to your server without creating temporary disk files, resume transfers that were aborted by a network error or user action and more. Rebex FTP/SSL is a versatile file-transfer component for .NET languages (such as C# or VB.NET). It allows you to transfer files directly from your application using FTPS, an extension of FTP which is fast becoming a standard for secure FTP. This protocol is also known as FTP over SSL or FTP over TLS. FTPS enhances the standard FTP protocol by utilizing the well known and widely used TLS and SSL protocol. TLS 1.0 and its predecessor SSL 3.0 provide strong authentication, integrity and confidentiality on both the control and data channels. This is achieved by using RSA or DSA public key cryptography to authenticate the server (or even the client) and to negotiate the encryption method and symmetric keys to be used to encrypt your data. There are many FTP servers that support FTPS and their number is growing constantly. Upload from memory, resume aborted transfers & more - either synchronously or asynchronously, in active or passive mode, binary or ASCII. Upload data directly to your server without creating temporary disk files. Resume transfers that were aborted by a network error or user action. Open a remote file as a stream and work with it as if it was accessible locally. Monitor upload and download status and progress using custom events. Send raw FTP commands to utilize enhanced functionality. The automatic directory listing parser handles all popular FTP servers on Unix, Windows and Netware platforms. The parser is also easily extensible by you to support even the most exotic or future formats. It includes 16 samples in VB.NET and C#, including a fully functional FTP client - Rebex Secure FTP/SSL samples focuses on real-life scenarios. In many situations, you only have to copy & paste code from one of the samples to your production code. Need to download a file or upload the whole folder? Do some background transfer without locking your GUI? Want a complete command line or WinForm FTP client for testing the component and making sure it works? You'll get samples for all of the above situations and more. All samples are available in both C# and VB.NET.